FOR the first time in Player of the Week history, a player representing a non-Victorian club has earned the gong in the NAB League Boys competition. 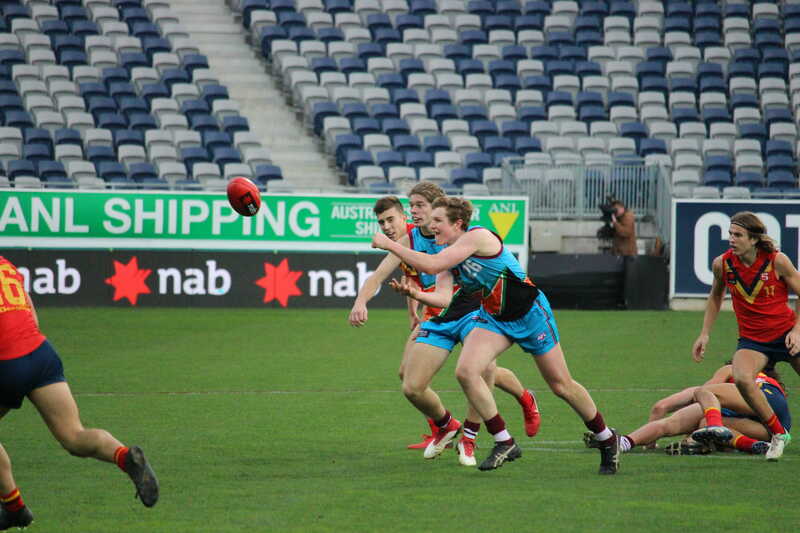 With the introduction of the five academy teams and Tasmania, it was bound to happen, and just three weeks into the season, GWS GIANTS Academy member, Tom Green has been voted in as the Draft Central Player of the Week for Round 4. Green had a massive 38 disposals and 13 clearances, as well as three marks, six tackles, three inside 50s and one rebound in the GIANTS’ win over Northern Knights at Trevor Barker Oval on Saturday morning. Green joins Oakleigh Chargers pair, Matt Rowell and Noah Anderson as AFL Academy players on the list of winners so far this season, as well as in-form Eastern Ranges mid-forward Mitch Mellis. Like Rowell and Anderson, Green is a potential top 10 pick, and has averaged a whopping 31.7 disposals and 10 clearances per game in his three matches so far, as well as 3.3 marks, 4.3 inside 50s, 3.7 tackles, 2.0 rebounds and has one goal to his name.